Christmas time is a great time to be outdoors. Whether it’s camping, hiking, fishing or just going for a walk, people everywhere like to get outside and have fun. If you’re shopping for someone with a thing for the outdoors, Christmas gifts are here to be had. Increasing in popularity over the past 20 years, golf has captured the heart of the business man, as well those who love being outdoors. A game of skill, stamina and art (which is played only against oneself!) most men and women golfers find golf to be relaxing and highly enjoyable. More likely than not, there is a golfer on your Christmas shopping list. While most golf courses rent clubs to golfers, golfers typically enjoy the feel of their own clubs; much like wearing a comfortable pair of shoes. Clubs come in a variety of material include wood and metals. As well, there are drivers, grips, shafts, as well as new club heads that would all make lovely gifts for the golf enthusiast on your list. One gadget golfers consider handy to have available is the Sky Golf Sky Caddie GPS which monitors launches and swings. Another useful tool of the trade is the Garmin Approach S 1 Wrist Watch. This nifty golf watch provides information to the golfer such as the precise distances to the front, middle and back greens, as well as measures individual shot distances. While this device also functions as a watch, it also has an odometer and has preloaded over 14,000 golf course in the US and Canada so there is no need for any downloads or subscriptions. 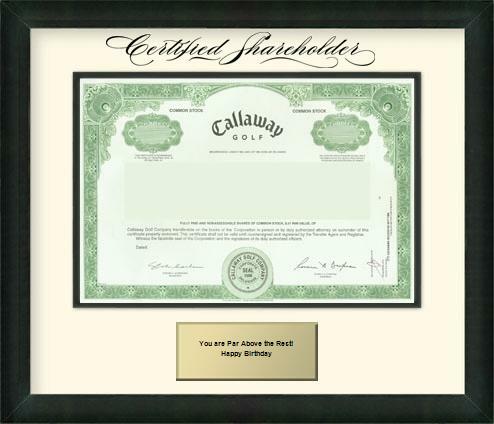 The Callaway Golf Share is a unique gift for golfers as well. Golfers tend to have a lot of gear and need a means of transporting it all to and from the golf course. A very popular item is the Trunk-It Golf Gear Case. Fitting in the trunk of one’s car, this handy item stores not only golf equipment, but accessories as well. It can hold golf balls, spikes, tees, shoes, gloves, first aid kits and socks. This gear case is the ideal gift for the golfer on your holiday list. From shoes, to pants, to shirts and jackets, golf really has its own type of clothing. Featuring lightweight fabrics that breathe, golf apparel is idea for warm weather areas, as well as on the golf course. One apparel item that is often overlooked or forgotten about is the rain gear. Golf rain gear makes a great gift as it will get used and will come in handy while out on the course and it begins to shower. An item that is always needed is the golf ball. 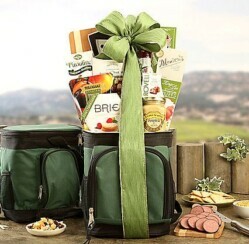 This is an ideal gift for golfers since they’ll forever use them. On the golf course, golf ball identification is what it’s all about, to stick to something like the Titleist Pro V1 Golf Ball. This ball delivers increased spin control and more consistent ball flight than most golf balls on the market.